Hey there. 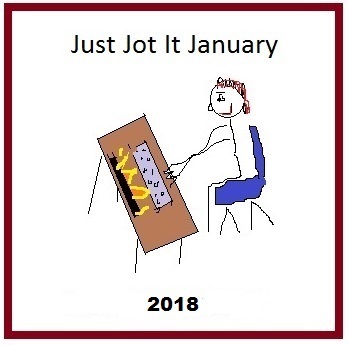 I’m here with your Just Jot it January prompt for Friday, January 26th. It’s been a busy day for me, trying to catch up on work. Just in time for the weekend! Yay! Don’t forget, this is Friday’s prompt. Saturday’s prompt will show up here on Friday morning as the Stream of Consciousness Saturday (SoCS) prompt – don’t get them confused! I wonder if you can view it. I am not sure how to connect it with WordPress.